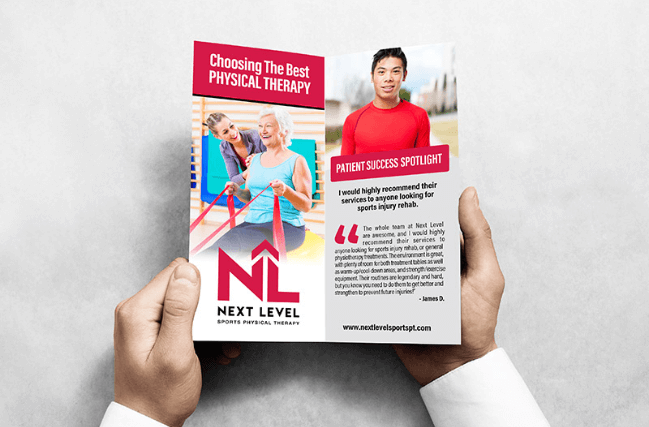 Our practice brochures fit in standard brochure holders and are completely designed, written and printed for you. Create the professional image your practice deserves! Choose from specialties including Physical Therapy, Occupational Therapy, Speech Therapy, Laser Therapy, Aquatic Therapy, MD Marketing, & more! Have you been frustrated by print marketing not generating results? Do your brochures attract new patients or are they just lobby decorations?